Attract what you want in 2019! Gail Cole, Certified Feng Shui Practitioner and owner of All Things Balanced, knows the power of manifesting what you want through Vision Boards. She has helped many people attract better wealth, relationships, health, careers, etc. 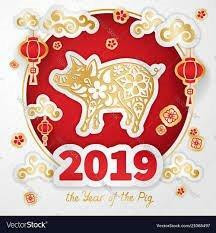 She will show you how to create your own personal Vision Board and what 2019 The Year of the Pig means for you!